is now a beneficiary for MySchool, MyVillage, MyPlanet! Now you can #DoMore for our children, communities, youth and animals with no fee or cost to you. It’s as simple as getting a MySchool card and swiping it at participating stores. Every time you swipe your card, a portion of the funds goes to the DO MORE FOUNDATION! Already have a card? Simply click here and add the DO MORE FOUNDATION as one of your three beneficiaries. Don’t have a card? Sign up online here for free and your card will be delivered straight to you. #DoMore and make every cent count! Everyone wants to help others but many lack the time and energy to #DoMore when life gets in the way. THE DOMORE FOUNDATION has found a solution where you can fulfill this need by simply purchasing our gifts that #DoMore. Purchases go toward #DoingMore for young children, impoverished communities and the care of animals. DO MORE FOUNDATION family as official supporters. Whether it’s through joining us on our annual events such as Mandela Day, World Food Day and the DoMoreLove Toy Run, or helping us #DoMore by offering us professional services, together, we can #DoMore! For more information on how to become a DO MORE FOUNDATION Partner, contact Programme Specialist Iris Naidoo on: . Alternatively, fill in the Volunteer contact form below and we will get back to you. We value the support of every single volunteer. Without them, it wouldn’t be possible to achieve our project outcomes and goals. There are a myriad of ways to volunteer. Get in contact with us to find out how you can #DoMore. Whether its an extra pair of helping hands at our Mandela Day and World Food Day events, or offering your special skills together we can #DoMore. Become a DO MORE FOUNDATION volunteer today. We believe that by inspiring MORE people to do “good”, TOGETHER we can make a real difference. Your donation will help to #DoMore for Young Children, #DoMore to Ease Hunger and #DoMore to support youth. Simply complete the form to donate. 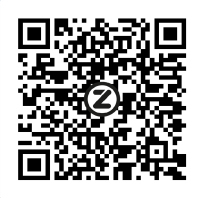 Alternatively, donate via Zapper by scanning the code below.